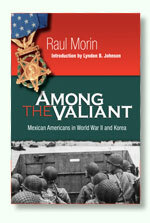 a must-read study of the history of Spanish- speaking Americans. 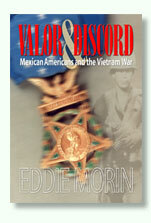 This penetrating new release details the actual accounts of veterans of the controversial Vietnam war. Over 30 photos. Includes commemorative postcard. 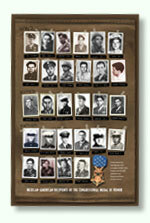 Look into the eyes of the Mexican-American heroes who earned our nation's most heartfelt gratitude. This colorful new poster features nearly all of the unit badges which our forces proudly carried in Vietnam, respectfully reminding us of the high cost of that war. © Valiant Press / Eddie Morin. All rights reserved. Powered by Equitivity.